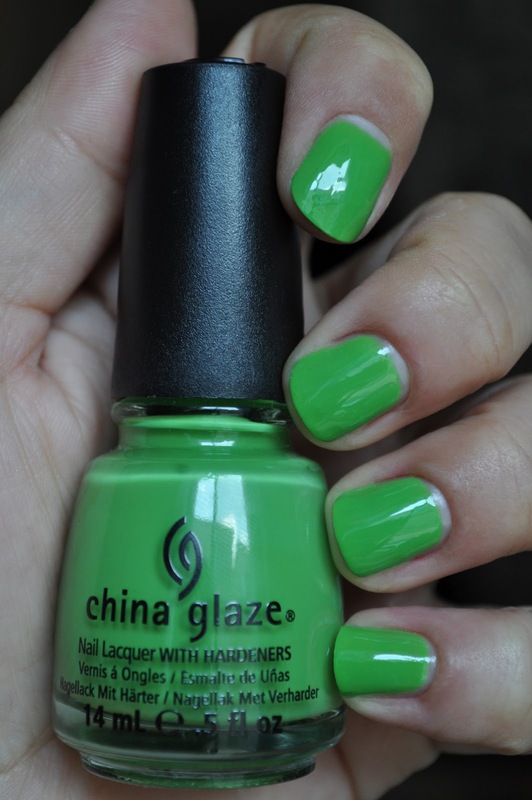 Gaga for Green is one of twelve polishes from China Glaze's Spring 2012 Electropop Collection. Gaga for Green is a beautiful, bright spring green, with a creme/jelly finish. This polish is extremely glossy, and I love how smooth it feels. The formula does lean a bit on the thin side, but it's still easy to work with, and opacity can be achieved with two/three coats. I didn't apply a top coat, because I wanted show you how Shiny Gaga for Green is. Also, I got five days of wear before experiencing any chipping! Gaga for Green is a fun color for Summer, and I've really enjoyed wearing it. Did you get any polishes from the Electropop Collection? Also, what's your favorite bright green polish? No, it's just a really good formula. And don't worry, I'm extremely rough with my hands, total savage! wow~ tat is a gorgeous green! 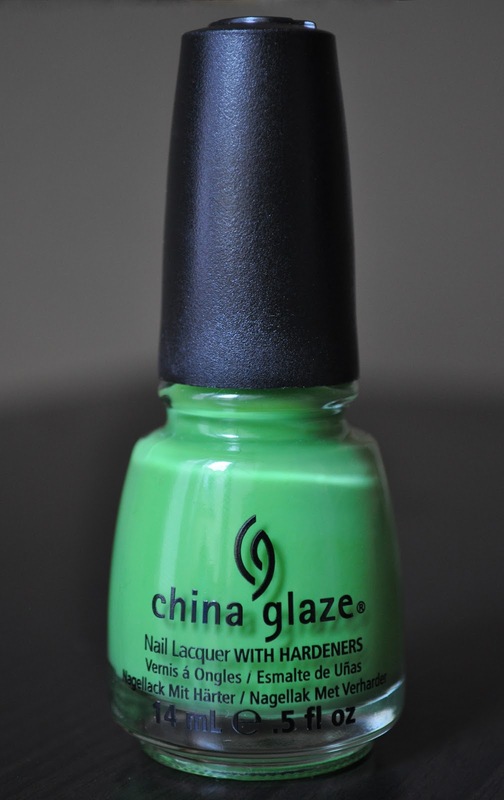 I really want to try China Glaze though I haven't seen it much in NYC, where I am right now for a a few weeks. Love green polish...I'm wearing Mojito Madness by Essie right now! Really? 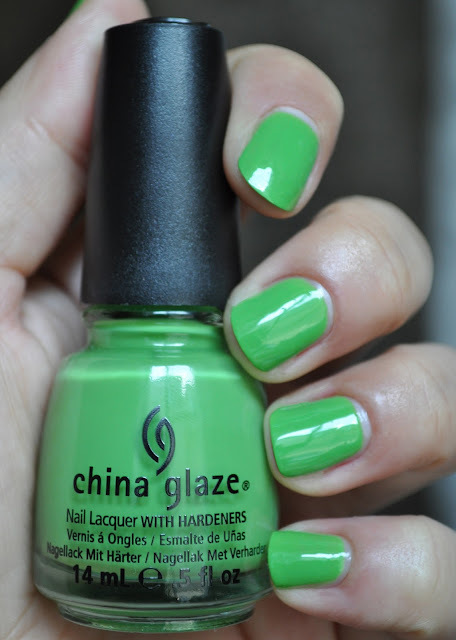 I love green polishes as well, def need to try Mojito Madness! !